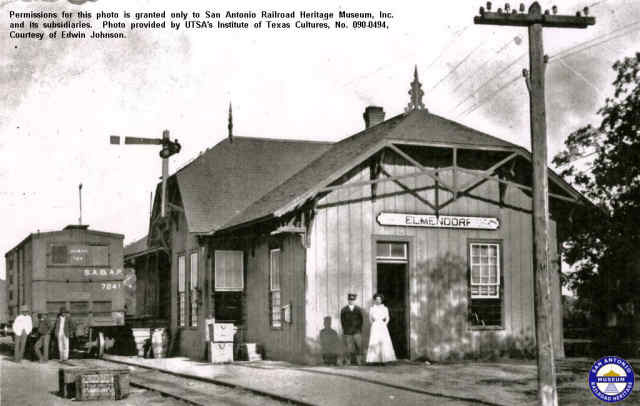 The Elmendorf Heritage and Railroad Museum (EHRM) was established in October of 2008 and is a division of the San Antonio Railroad Heritage Museum (SARHM). SARHM is a Texas Not-for-Profit, educational organization. Our mission is to collect, preserve and display historical artifacts of the community of Elmendorf, Texas and also promoting Elmendorf's railroad history. Held several data collection events, for artifact, photo, and information. These events were held at St. Anthony's Church Hall. Museum was opened December 6, 2015.